Oats were brought to North Americas in the early 1600s. The grain is celebrated in January during National Oatmeal Month. Whether you're cozying up to a bowl in winter or not, this coconut oatmeal is a perfect vegan breakfast for vegans that meat eaters can enjoy as well. Requiring little time and little effort, it's big on taste and nutrition. Prepared with oats, almond milk, and three kinds of coconut, it's no wonder it's so good! Combine the 1-minute oats, plain almond milk, lite coconut milk and water in a small saucepan over high heat. Cook, stirring occasionally until mixture comes to a boil. Add in the shredded coconut, brown sugar, vanilla extract, and ground cinnamon, stirring just enough to mix. Cook for just 30 seconds or so more, or until the oatmeal comes to the right consistency. Remove from heat. If oatmeal is too thick, add a splash or so more of almond milk or coconut milk and mix well to combine. Transfer oatmeal to a serving bowl. Top the oatmeal with the sweetened shredded coconut, and mix in before enjoying. If you're cooking for a gluten allergy or intolerance, just make sure to pick up certified gluten-free oats. If you're not in a hurry, use steel cut oats and cook your oatmeal overnight (on low) in a crockpot. If you really enjoy this oatmeal, cook up a large batch and store the leftovers in the refrigerator. Reheat it each morning with a little extra coconut or almond milk. Add one sliced banana to the bowl at any point during cooking or just before serving. Add a couple tablespoons of dairy-free dark chips to the bowl just before serving (don't add them until you're ready to eat, or they'll melt too quickly). Add a handful of chopped pecans, raw walnuts, almonds, or hazelnuts before you cook. 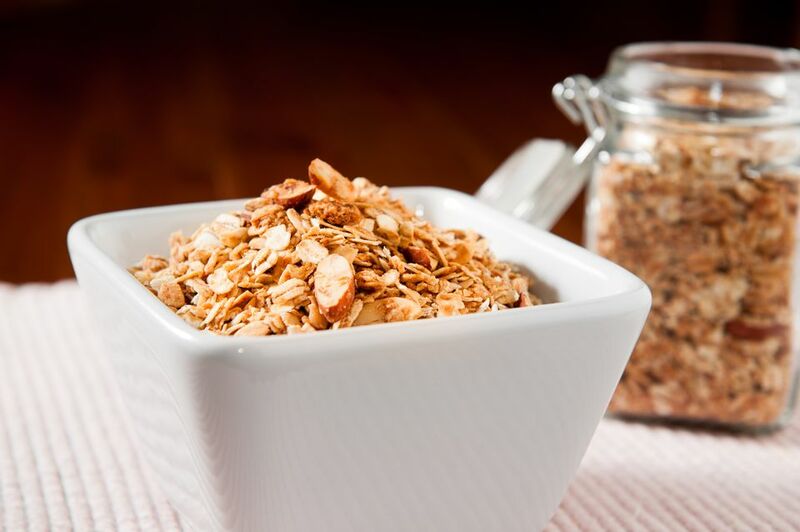 Add a few tablespoons of your favorite dairy-free granola to the oatmeal just before serving for a little extra crunch. Add a few tablespoons of any dried fruits you're craving. Dried cranberries, dried cherries, and raisins are all awesome additions.